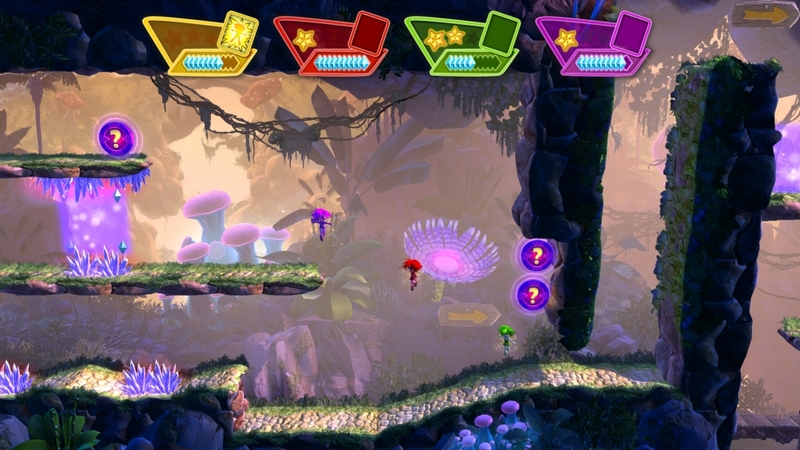 Based on the 1987 Commodore 64 game The Great Giana Sisters, we now have this: Giana Sisters: Dream Runners. Now when I was doing some research in the studio and the history of the game, I saw that there was a full single player mode. I was confused. I reviewed this game on the Xbox One, and not once did I see anything about a single player game. The reason for it is that the game does not have one. 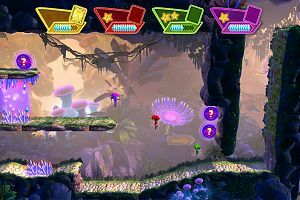 Giana Sisters: Twisted Dream is the single player game, which reviewed quite well when it was released in 2014. Nothing too different but solid enough to be game in its own right. 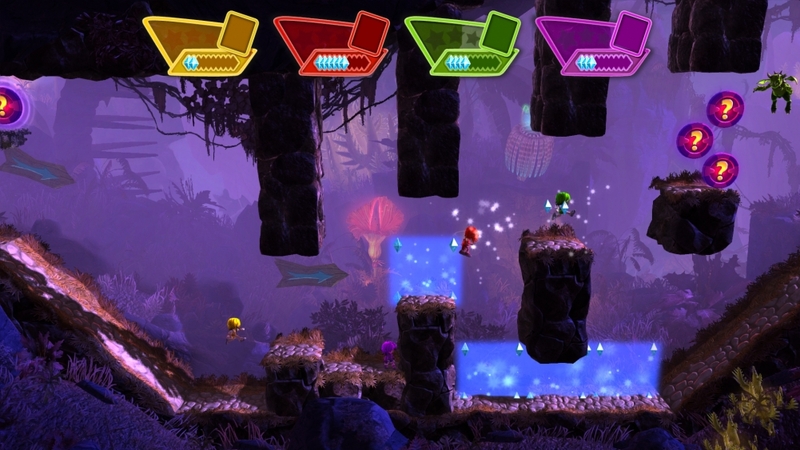 For Giana Sisters: Dream Runners, this is not the case. The game is completely multiplayer. 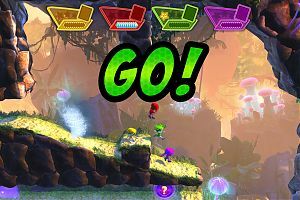 Four characters running around a circuit, each trying to outdo each other to push the trailing runners off the screen. That is about it. 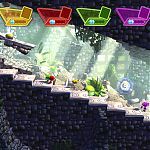 It is kind of like a Super Mario Kart in 2D, with random power ups and a little bit of rubber banding thrown in. 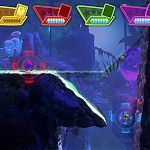 and play with bots, which is just another way to collect the already easy achievements in the game, but there is no variety in the game modes. 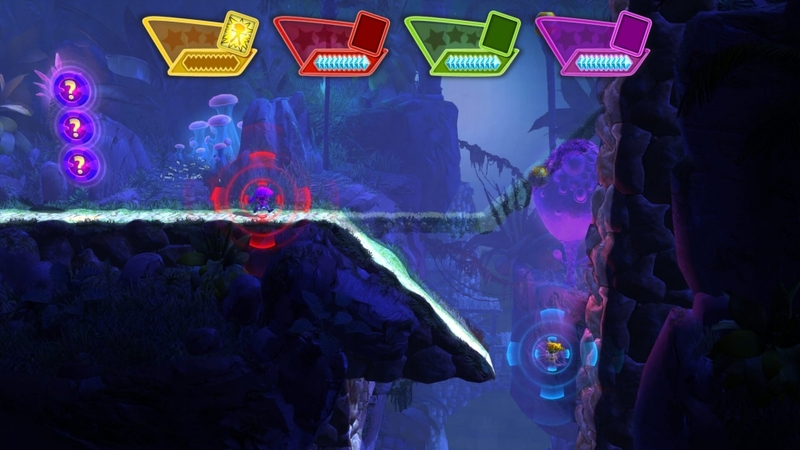 The arenas themselves have little variety, side scrolling with the obligatory 3D backgrounds. 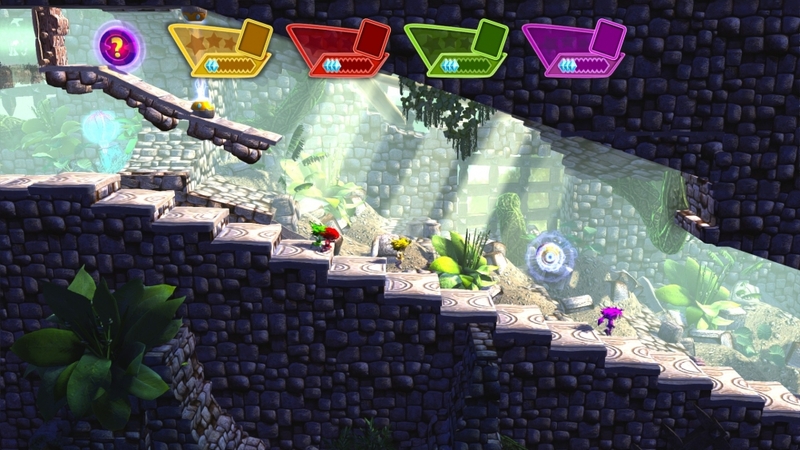 As you race around you can change the look of the levels changing from bright sunny days to snow storms, and in the harder levels hitting these switches completely changes the layout to progress. Controls are minimal. 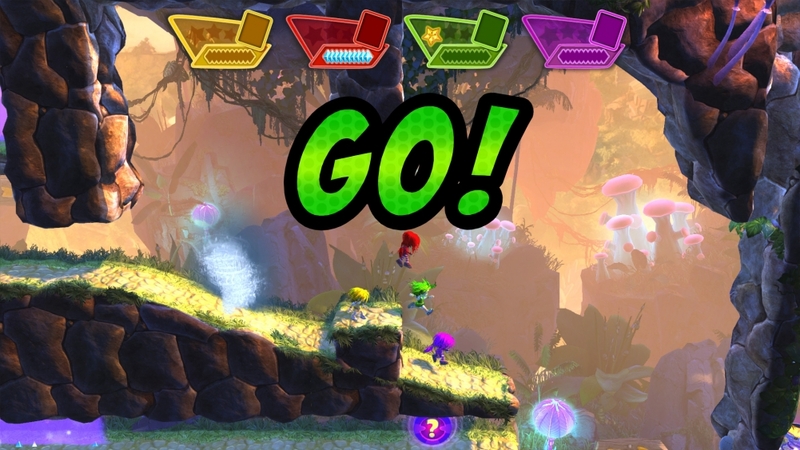 A jump button, a twirl mechanic which boosts your height in a jump, a sprint button which has a limited use until you pick up more crystals, and the power up button. 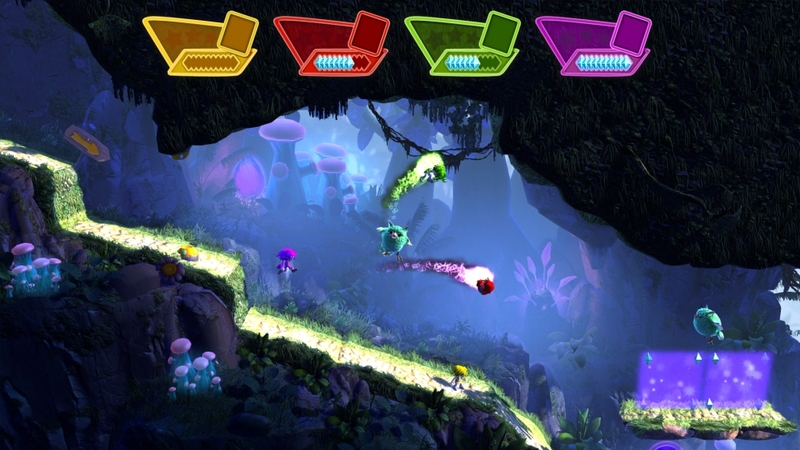 Power ups are collected through the race and vary from dashing, instantly swapping places with the person in front, an owl whose main purpose is to slow runners behind you, and a one shot spike ball who take a few seconds to lock on but daze the target if you hit them. 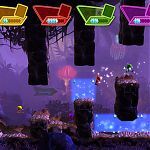 The characters all feel too heavy and floaty and there are some really very mild platforming sections, which can stop the flow of the game. The controls needed to be sharper and more focused. 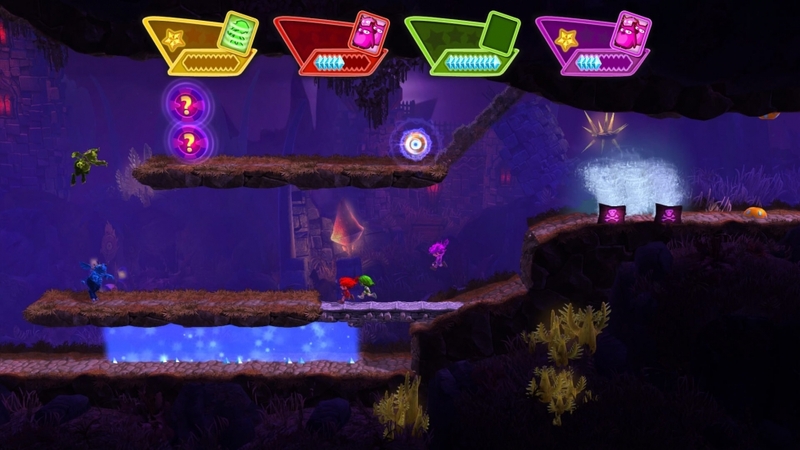 There are multiple routes through the levels, but the floaty controls usually end up sending you down the same route every time. Even the AI characters seem to follow the same path. Sometimes the bright arenas are confusing and you can lose sight of what is happening on screen. A few times I was following the pack only to realise in all the chaos I was at the back. After losing a round, my character didn’t even spawn back in, and on one race count down one of my opponents was caught in a hazard and was pushed all the way back to the end of the screen. The game however is a little better when real people are playing and the multiplayer works well enough. Maybe with 4 people on the sofa all playing at the same time the game might be a lot more fun. But who really has 4 controllers or even that many people over on the sofa to play games anymore? As I already said about the achievements, they are really easy to collect. After playing the first game, I unlocked nearly 350 points in less than 10 minutes. A few games later and I had another 120 points. There is no variation in any of the achievements, and no real challenge to getting them. 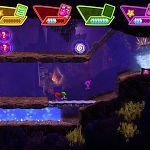 The game does look OK, but there is not enough here to hold the attention of a modern day gamer for too long. It’s drastically short on features and ideas. 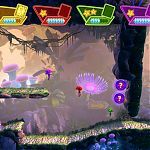 Kids may get a kick out of this, but there are much better multiplayer games available out there that they will want to go back to. 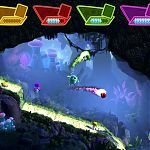 The idea of a runner game would work well on Xbox live. But it’s just not this one. As a free add on this would have been acceptable. As a full release, just no. 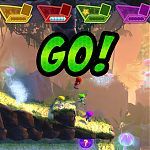 This review is based on playing the Xbox One version of Giana Sisters: Dream Runners that was kindly provided for review purposes by EuroVideo.